Macquarie University has today announced the launch of its four-year graduate-entry Doctor of Medicine program, the Macquarie MD, with the first cohort of students expected in 2018. “Building on the success and great reputation of our hospital and clinics we felt the time was right to introduce a graduate medical program at Macquarie, the natural next step in our long-held commitment in advancing health. Alongside our Doctors In Training Program, this will enhance Macquarie’s suite of signature education and training programs in Australia’s only university-led academic health sciences centre. This is an important milestone for our long-held commitment to the advancement of healthcare, health education and research,” said Professor S Bruce Dowton, Vice-Chancellor Macquarie University. The Macquarie MD aims to provide students with a high-quality and innovative learning experience. With a small annual intake of 60 (40 domestic and 20 international), students will have access to impressive facilities and medical educators, researchers and clinicians. To open-up the program to a diverse student cohort, the University will offer the most generous scholarship fund of any Australian medical program, including scholarships for Indigenous students and equity groups. 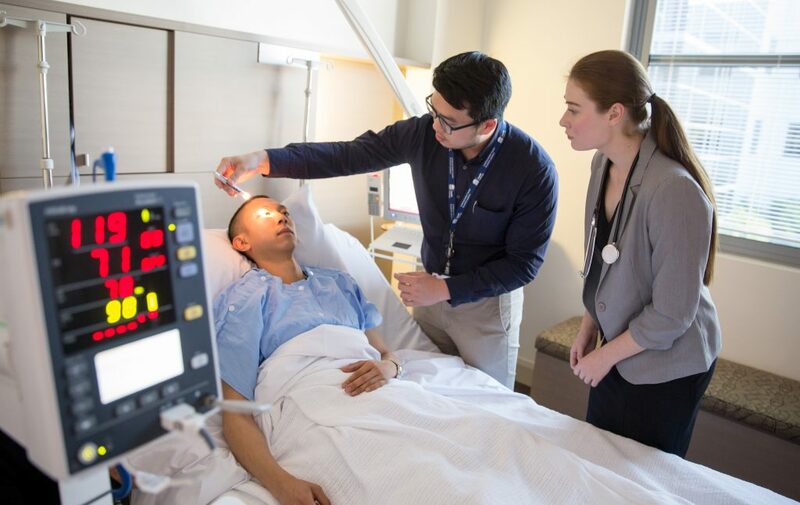 A significant component of learning will occur in Australia’s only university-owned and operated not-for-profit teaching hospital and academic health sciences centre, MQ Health which combines excellence in clinical care with teaching and research. Recognising the value of international learning, the program features extended quality-assured clinical experiences abroad for all students including, core clinical placements and selective opportunities at the Apollo Hospital in Hyderabad, India in addition to clinical placement at MQ Health, the Northern Sydney Local Health District (primarily within the Royal North Shore Hospital) and the MindSpot Clinic in Sydney. “Our aim is to train future leaders in healthcare, who are patient and safety focused, culturally responsive, globally aware and equipped to work within increasingly digital health systems. We are seeing increasing demand for and benefits from international health experiences in medical education. We aim to prepare our graduates for the predicted environments in which they will practice, to become globally engaged doctors who will be equipped to help improve the health of communities both here in Australia and around the world,” said Professor Patrick McNeil, Executive Dean Faculty of Medicine and Health Sciences Macquarie University. Admission to the program will be highly competitive, with applicants needing to demonstrate a high level of achievement in tertiary study and the Graduate Medical School Admissions Test (GAMSAT), as well as completion of a number of prerequisites. Applicants will also be required to demonstrate relevant qualities and attributes for the program and profession through medical interviews. Applications for 2018 enrolment can be made via the Graduate Entry Medical School Admissions System (GEMSAS). Macquarie University launches graduate medical degree. Credit Chris Stacey.